Like Toothy just said, he'll just have to get used to being a little boy again. Besides, it's true that he cries a lot during the canon series, just like how often SpongeBob SquarePants cries in his show. Well, you get the idea, Toothy's such a cute fellow anyway. 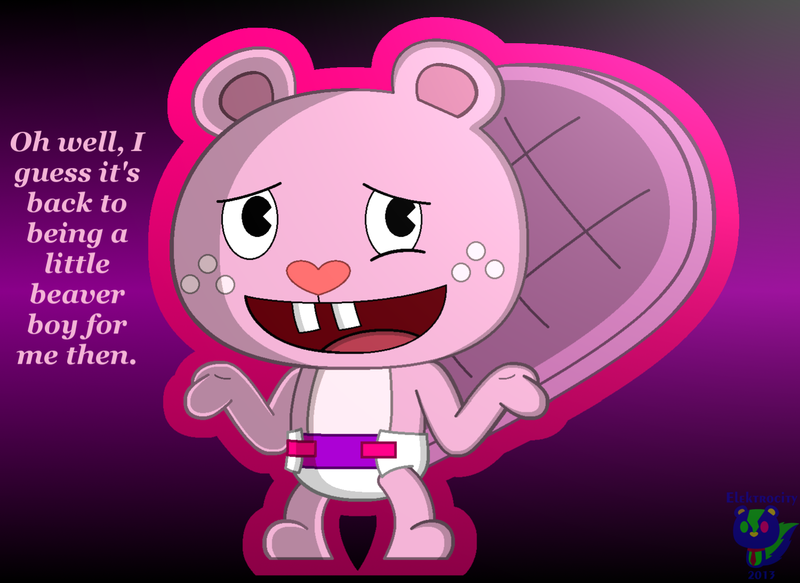 aww toothy :3 do you want someone to parent you?